The Artist magazine is a monthly magazine, first published in United Kingdom and as the name suggests, it is a magazine for the artists, by the artists. It features amateur and professional painters. Followed by £30.99 every 12 months by direct debit. It is the longest running arts magazine and its first issue came out in the year 1931. The Artist magazine portrays the different painting techniques and the technical aspects of painting. 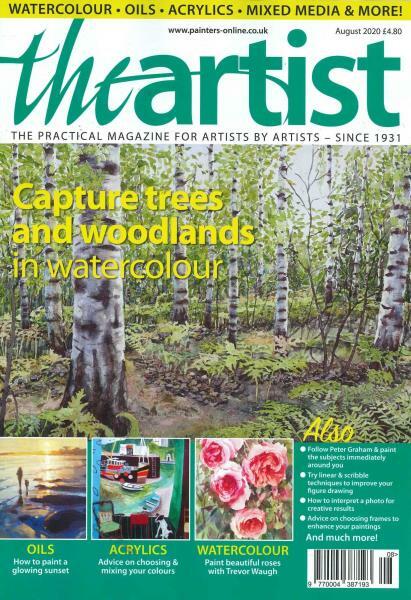 It is one of United Kingdom’s bestselling visual arts magazines. Artists all over the world look forward to each issue of this magazine and refer to it for latest painting news and updates, reviews of best paintings and artist reviews and artist interviews, expert advice about painting and other such issues. It provides master classes, practical guidelines, technical advice, etc. to its readers. The presentation of the magazine is specially looked after by a group of professional artists, themselves, and so, no doubt it is worth a mention and one of the attractive features of this magazine. The Artist magazine is printed on glossy paper with very clear and bold prints, so that it’s easier for all its readers to follow this magazine. It is mainly filled with awesome artistic works by various artist, both well know professionals and beginners. The language of the magazine is also vey lucid, enabling the readers to understand it.